On Saturday, March 4th Keep Hopewell Beautiful conducted a major clean up of the 3200, 3300, 3400, and 3500 blocks of Western Street in Hopewell. Over 30 volunteers picked up trash in a neighborhood woods for nearly three hours. 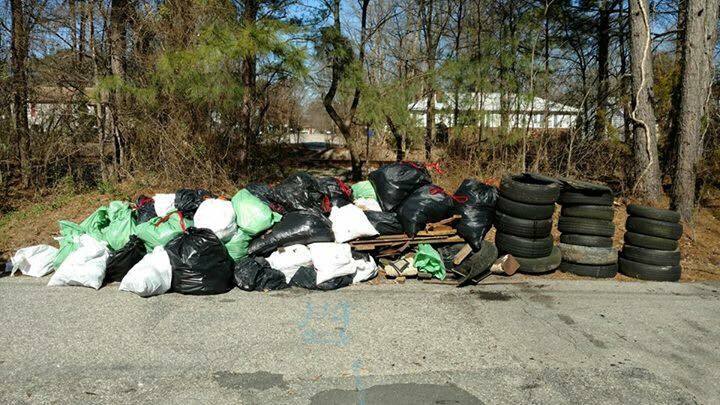 43 bags of trash, 22 tires, and over 100lbs of scrap metal and construction debris were removed from the woods, resulting in 1,500lbs of trash being eradicated from the woods and surrounding neighborhood!